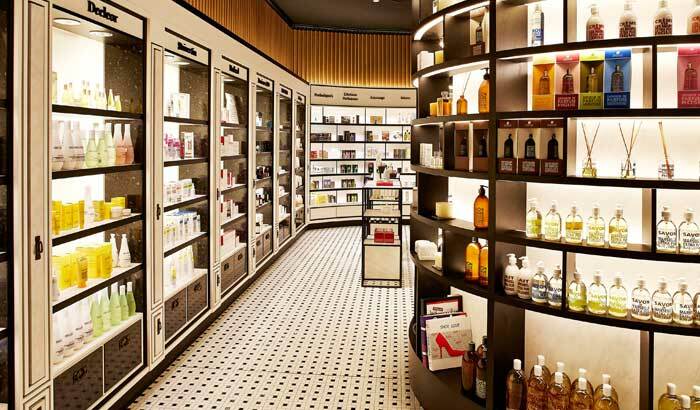 Our 3rd store design for Escentials takes its cue from a glamorous Shanghai apartment. 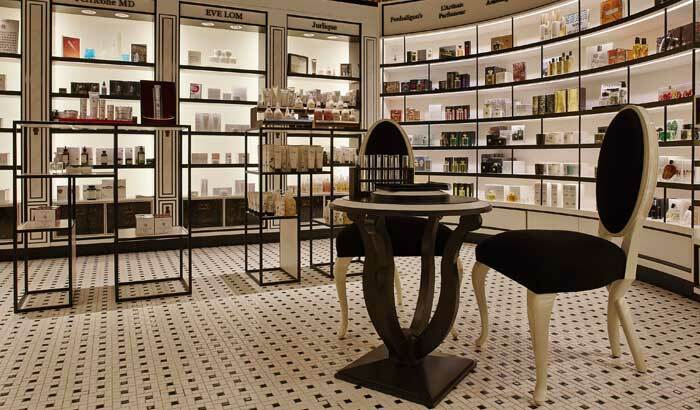 Escentials, all about beauty and fragrance, opened its second doors at TANGS in April 2013. 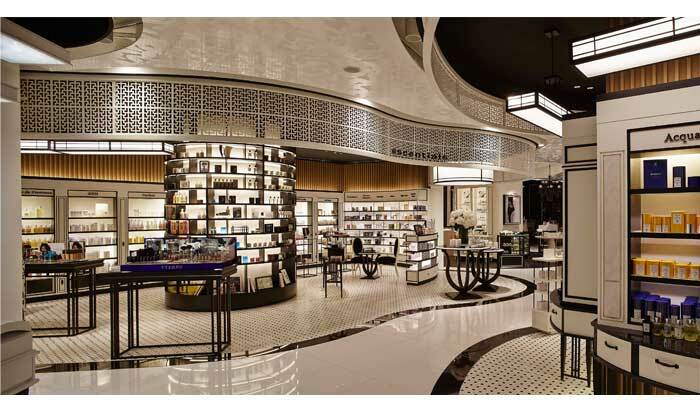 Designed and themed after a Shanghainese lady’s library, Escentials Store will play the part of the main library space, while the rest of the brands are displayed under arcs of art deco inspired shelves that act as both display stands and screens. 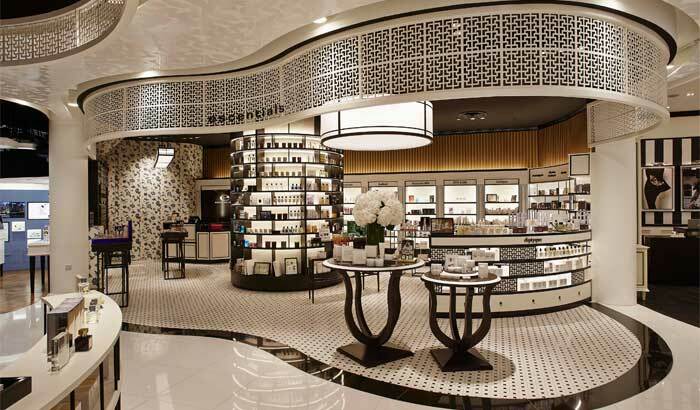 Complementing the signature white backdrop, a black marble border frames the floor tiles of different area zones so that diverse brands can be distinguished in one open space.